As lovely as it is to book yourselves in a luxurious hotel, you are never too far away from the frolicking’s of other hotel inhabitants. Sometimes the only thing that will suffice is a home away from home; astonishing holiday rentals providing tranquillity and privacy. Here at H&L we have put together a list of our very favourite properties, from serene and romantic dwellings for two, to the outrageousness of a tropical island for you and all of your friends. 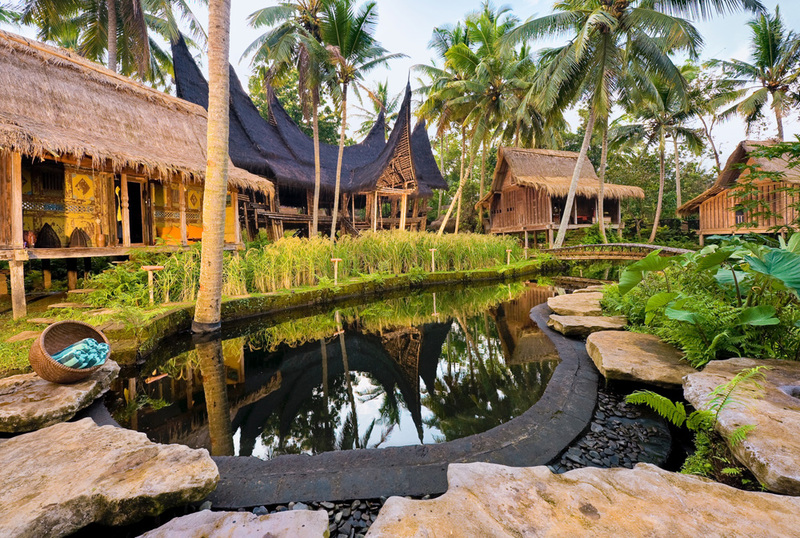 About a 15-minute drive from Bali’s cultural centre, Ubud, this exquisite eco-chic retreat may not be the secluded haven that you expected however although you may be surrounded by other guests residing at Bambu Indah, tranquillity is paramount. Enchanting pathways cut through small rice paddies to bridge over a natural pool-river where you’ll share the freshest of swims with tiny fish. A hotel this is not, all guests will have private abodes and each beautiful house is different, many are antique Javanese, hand carved teak and thick bamboo. The houses are full of a smattering of collectables from the owners’ travels – from Tibetan rugs to African wall-hangings. The rustic décor masks more modern touches: comfortable mosquito-netted beds, hand-beaten copper basins, open air rain showers and Japanese washer-drier-high-tech toilets (for best loo-with-a-view stay in “Afrika”). Most of the views look across the Ayung river gorge in shades of lush lime green, and the horizon rises up to picture perfect mountains. This splendid 16th century castle on the Tuscan Coast has been the residence of many Tuscan Grand Dukes over the years. 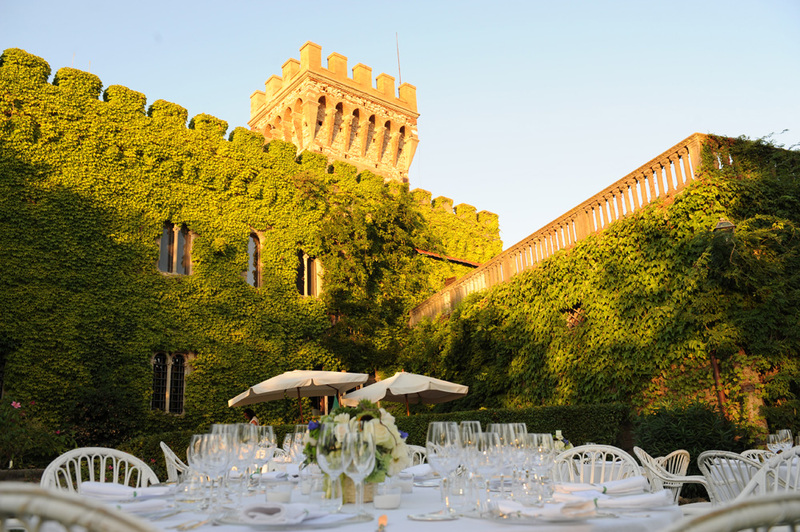 But forget the Dukes, Castello Granduca could be you and your loved ones not so humble abode during your trip to this beautiful part of Italy. The grand 10 bedroom property has furnishings and décor of a late 16th century noble Tuscan style and houses seven suites. This makes it the ideal property for gathering friends or family and whisking them away for the week. The castle also boasts an impressive dining room, an outdoor swimming pool and a Jacuzzi as well as beautiful gardens and views. The property is set within the ruins of a medieval castle with some parts of the original dungeon dating back to the 12th century. The interior décor is traditionally French but with a few Spanish touches. The property holds up to twelve guests so would be great for a family gathering or if you fancied an extravagant castle stay for two. Adding to the old world charm is the river that runs so close to the chateau it’s perfect for swimming, fishing, skinny dipping for the brave or your own preference of water sports. There’s even a library for scholarly pursuits in the evening. The chateau itself is anything but primitive with all the amenities you’d expect of sophisticated modern living including a fitted kitchen and dining room with a vaulted ceiling. There is also table tennis, various dining terraces and a beautiful old open fire. 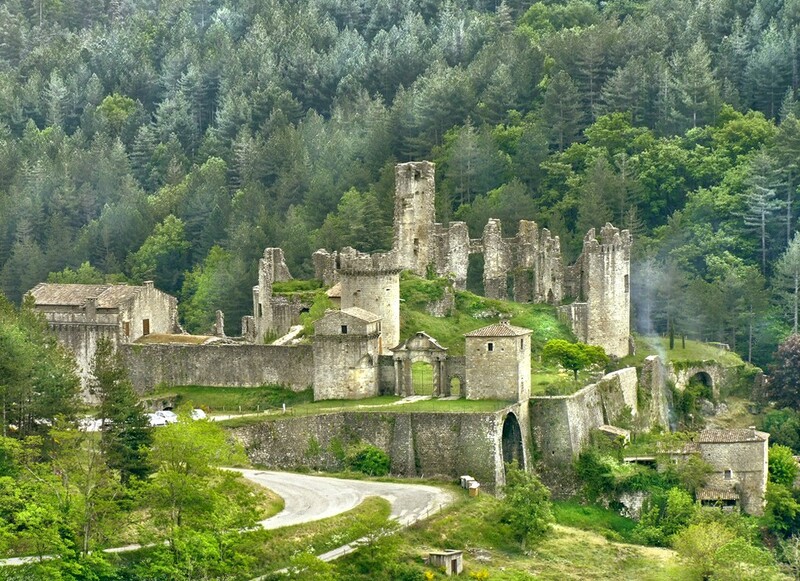 This is a truly unique fairytale castle, set in a beautiful Provencal landscape that creates a magical atmosphere. Located in a charming town, you will enjoy the unspoiled countryside just as much as the glamorous lifestyle of the Cote d’Azur. This 16 bedroom chateau is a haven of luxury lying in the middle of a vineyard with century old olive groves. The interior has just been renovated to the highest standards of luxury. 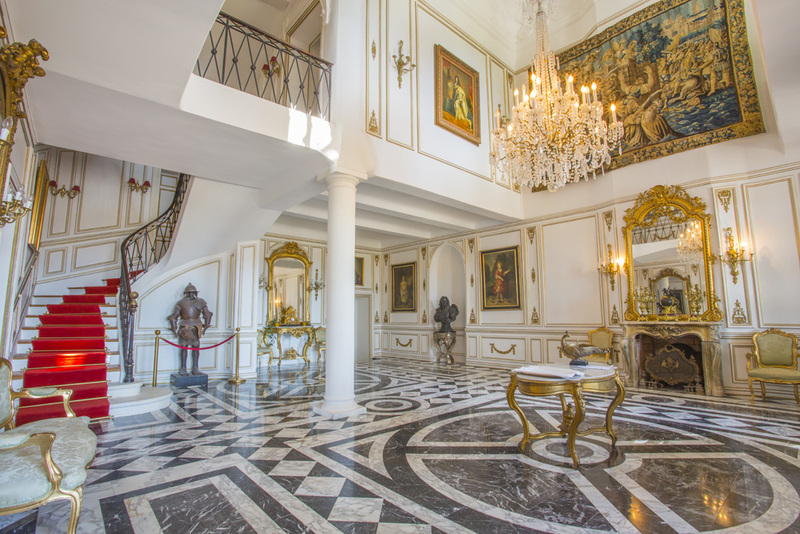 Features include Versailles style marble floors, Napoleon III crystal chandeliers and extremely stylish wall decor. Almost all the bedrooms have a fireplace so a cosy evening is always in store. Some of the bathrooms are located in the charming round towers. The castle also has a ballroom for you to get swept up in a Disney dream, or a slightly more down to earth idea of entertaining guests. For those of you keen on outdoor pursuits the private park includes a tennis court, 30x10m swimming pool and a helipad for those hoping (wishing) to fly in in style. 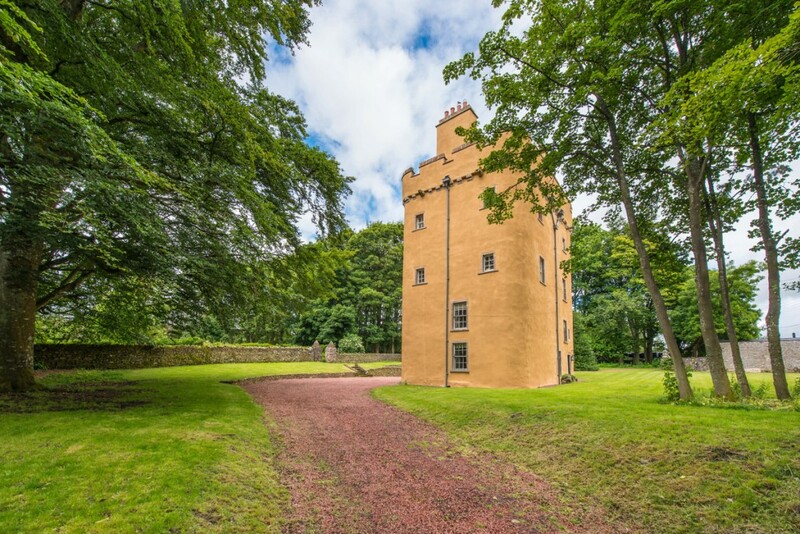 Dating back to 1350, Cranshaws Castle is an exceptional private residence set amidst the breathtaking beauty of the Lammermuir Hills in the north Berwickshire countryside. This stunning property has been lovingly restored to create an incredibly charismatic residence rich in period features, fine architectural detailing and stunning interiors. Cranshaws Castle is intimate, warm and benefits from all the modern comforts of a luxurious country retreat. Available for exclusive use only, the castle has a spacious drawing room, large dining room, fully fitted kitchen and four beautiful double bedrooms. With a variety of catering options as well as amenities and services, guests can tailor-make their stay according to their needs, with as much or as little assistance as required. For the ultimate stay, Cranshaws Castle can organise a full catering service with daily housekeeping and butler. This exquisite castle is located just 40 minutes from Berwick-Upon-Tweed and an hour from Edinburgh. There is much to do in this beautiful, remote part of Scotland. Activities include walking, hiking and cycling (with bikes and detailed trail maps available). Picturesque picnics in the Lammermuir Hills and clay pigeon shooting at the castle can also be arranged upon request. Nearby, guests can fish, sail, play golf or explore the beautiful historic Border towns and national trust houses. 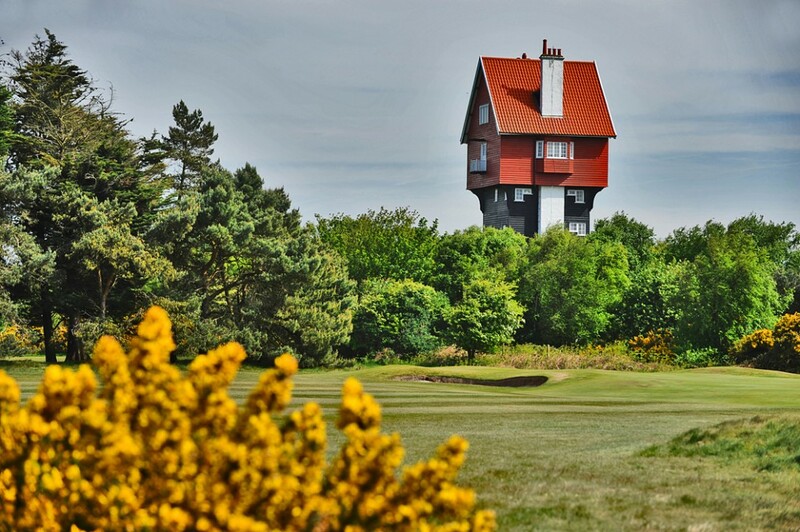 The House in the Clouds, one of the country’s most famous follies is set in 1 acre of private grounds and is situated on the Suffolk Heritage Coast. Close to Aldeburgh, Snape Maltings, RSPB Minsmere and many other bird and nature reserves. The House in the Clouds provides spacious accommodation with 5 bedrooms, 2 with double beds, 3 with twin beds and an additional double sofa bed. Accommodation includes 3 bathrooms, drawing room, dining room and the magnificent “room at the top” giving the finest views of Suffolk . Exceptionally well fitted the house provides a dishwasher, microwave, fridge, freezer, washing machine/dryer, colour television, full gas fired central heating, table tennis, lawn tennis and boules. Suspended high above the waters of Lake Wakatipu and surrounded by the most spectacular mountain range and ski field; The Remarkables in the South Island of New Zealand, Jagged Edge is quite simply breathtaking. 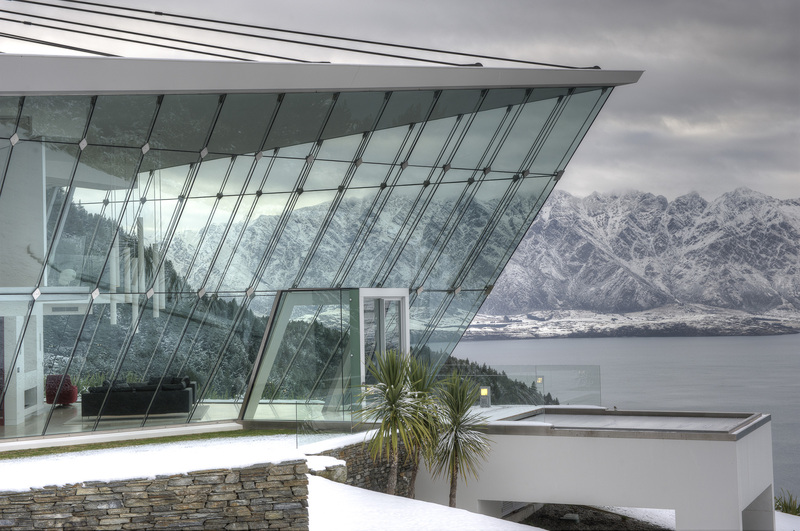 This world-class architectural statement is located just a ten minute drive from the vibrant heart of Queenstown. Offering guests the opportunity to be seduced by the incredible views and vast open spaces, this outstanding property is a truly unique experience. Indulge yourself in the hot spa pool front of the house and feel as if you are floating above the mountains. All bedrooms are located on the first floor, which is completely suspended from the roof. The perimeter walls are constructed of glass making the most of the 270-degree views. The interiors have been kept stylishly minimal, so as not to distract from the sweeping vistas outside. Each bedroom has commanding views of Lake Wakatipu and beyond and all are complete with ensuites. From the master bedroom bed you can look directly at The Remarkables. A wall separating the bedroom, from the living space below, opens at the touch of a button to display in full view, to the west towards Glenorchy. 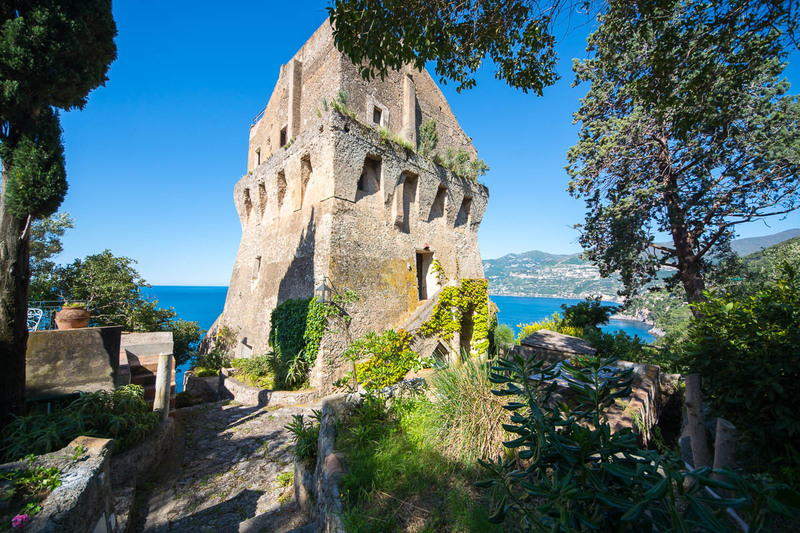 La Torre is a medieval watchtower situated within one of the most extensive private estates of the Amalfi coast with 3 different and charming separate annexes. The grounds of this property descend from the coastal road down through a landscape of dense Mediterranean vegetation and scented pine woods, lemon trellises and beautifully-tended gardens as far as the sheer sea cliff upon which the ancient tower stands. The recently renovated tower is elegantly furnished with antiques and modernist design classics which accentuate the beauty of this unique building. There is a series of panoramic terraces looking straight across to the sea and the unspoiled Amalfi coastline. These terraces provide the perfect setting for relaxing and eating outside. The property also boasts an exclusive double-level swimming pool, ingeniously linked by communicating steps. A winding path leads down below the tower to a private cove for swimming in the sea. The house has its own chef, butler and housekeeper/maid. 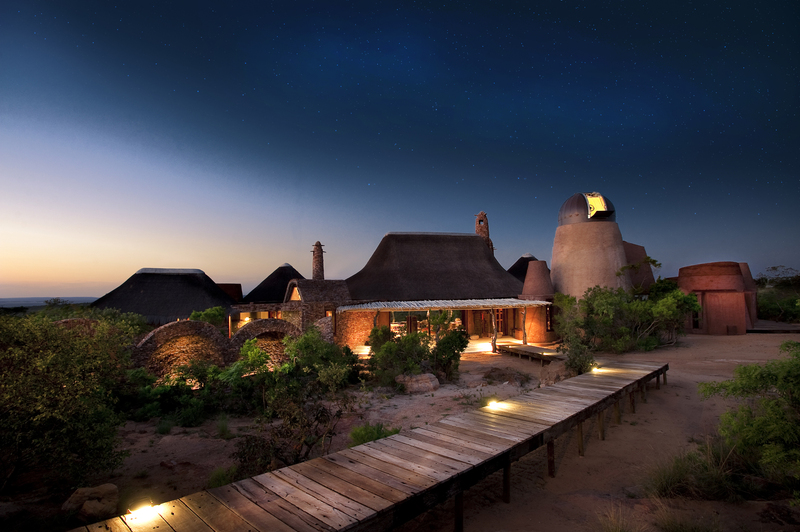 A building shaped like a termite mound may not sound like the most luxurious or romantic place to stay, but you would be wrong. Leobo Private Reserve is 12,000 acres of stunning bush overlooking the Palala Valley and offers a completely flexible experience with quads, horse riding, game drives, fishing, fly camping and star gazing just some of the options available here. The Observatory was designed by award winning architects and it really shows. This house is stunning complete with comfy and cosy roof deck and an immaculate adult hippo skeleton hung and lit above the dining table. The reserve has an abundance of wildlife although none of the big five, making it very safe. 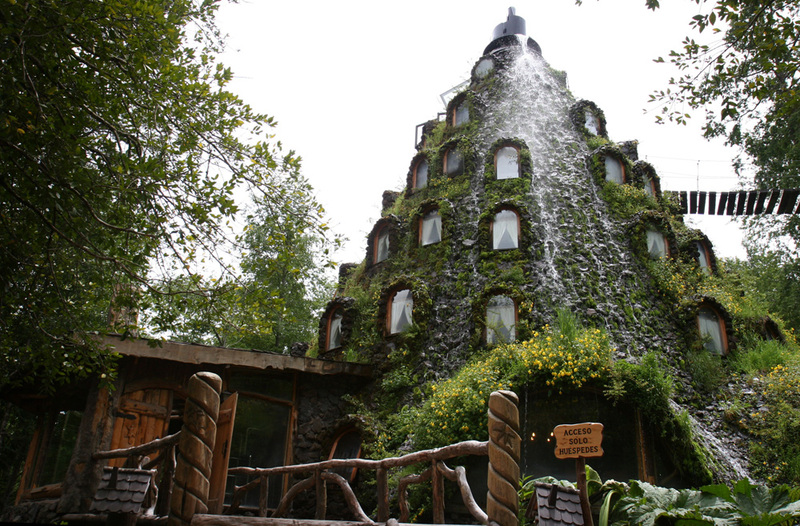 The Huilo Huilo Biological Reserve is located in the middle of the Chilean Patagonian Rainforest, under the majestic Andes Mountain range. This is a unique project because of its commitment to the conservation of nature and local culture. Immerse yourself in a fascinating journey through the magic of the reserve, where you will learn about the area, the Huilo Huilo Foundation and their commitment to sustainable tourism. Emerging from between the southern Andes is the Magic Mountain, a volcano from whose peak a stunning waterfall makes its way down. Stay in the Montana Magica Lodge which is buried in the middle of the native forest for a truly enchanting experience.